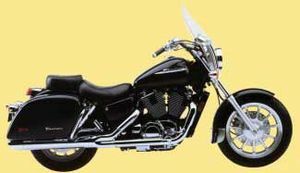 The VT1100T'98 Shadow 1100 (American Classic Edition) was sold in 1998 and was available in one of four colors: Black, Black with Pearl Ivory Cream, Pearl Jade Green with Pearl Ivory Cream, or Pearl Senona Red with Black. 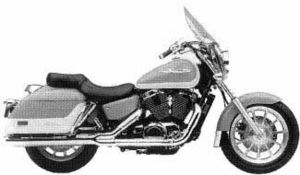 The bike had hard saddle bags and standard windshield. It also had a specially designed 2-into-2 exhaust system. The serial number began 1HFSC370*WA000001.